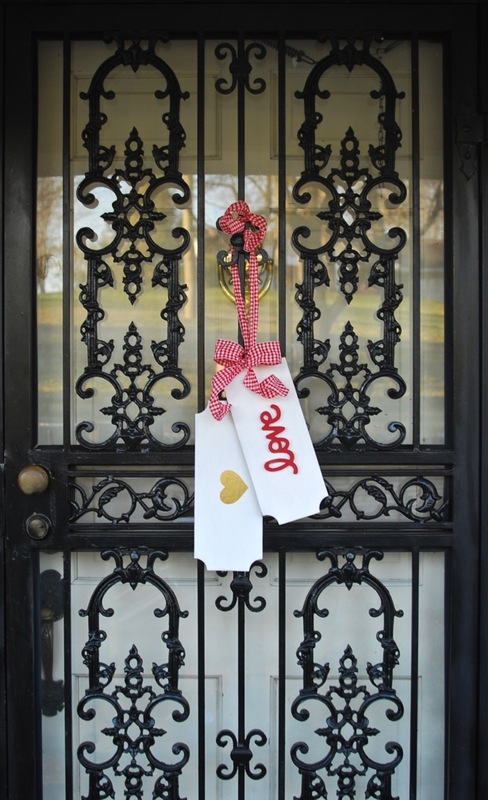 Today, I’m sharing easy DIY reversible door tags that will take your front entry from Valentine’s Day to St. Patrick’s Day with one little flip and a change in ribbon. 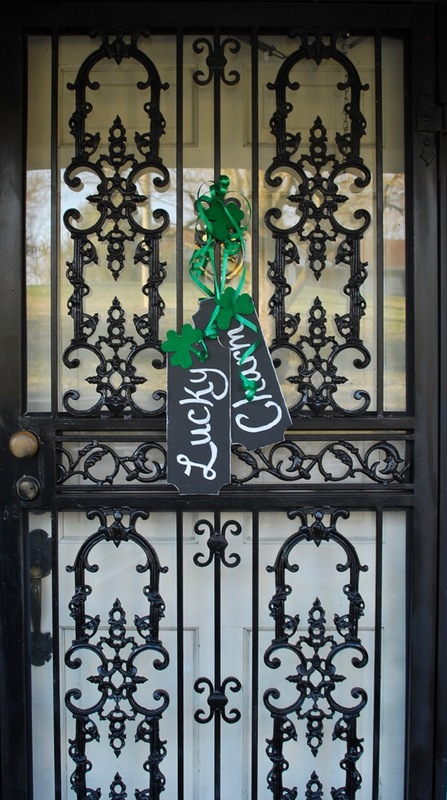 Make decorating your front door for Valentine’s Day and St. Patrick’s Day easier with these simple signs. Three cheers for multi-purpose decor! Yay! Y’all know how much I like decor that serves dual purposes, and Valentine’s Day and St. Patrick’s Day always kind of sneak up on me when it comes to decorating, so why not use one decoration for both? This is hard to do because of the colors associated with each, but these signs take care of that problem. You can take this idea and go so many ways with it, personalizing the messages on the tags to you and your family. I loved the simplicity of the heart and word “love” on the Valentine’s side and thought “lucky charm” was just an adorable message for St. Patty’s. Drill holes in tops of tags to hang. Paint tags white on one side and with black chalk paint on the other. Allow each side to dry fully before turning. Paint “love” cutout red and allow to dry. Glue “love” cutout to white side of one of the tags and stick the heart on the other. Flip tags over and write “Lucky” on one tag and “Charm” on the other with chalk pen. Let fully dry. Glue shamrock at top of one where it cannot be seen when flipped to Valentine’s Day side. Punch holes in tops of other two shamrocks to fix to green ribbon. Pull red ribbon through top holes and tie a bow or curl ends, depending on type of ribbon used. Hang and enjoy for Valentine’s Day. Change ribbon for St. Patrick’s Day and flip signs over. I hope you enjoyed these DIY reversible door tags! What crafts are you making for Valentine’s and St. Patty’s? Those are cute! They are so simple but I love how nice they look. Thanks Ashley! Sometimes less is really more! So cute and they look great on your black door. I do love how they turned out! Thanks! Think gumption, charm and grace matter? Then join here! Let’s talk gracious living over some bubbly! 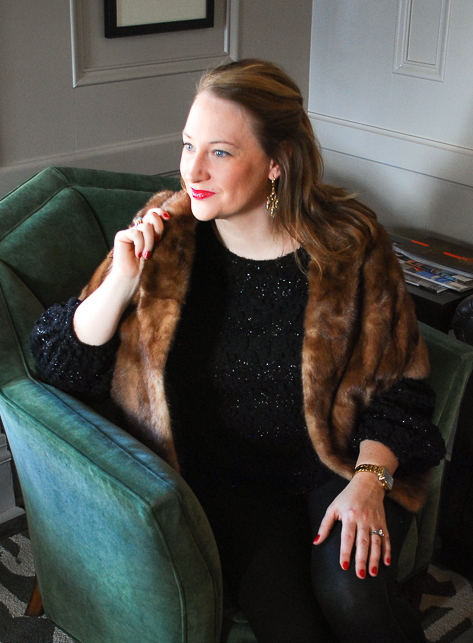 Knoxville-based blogger behind Pender & Peony, a Southern blog defining gracious living! 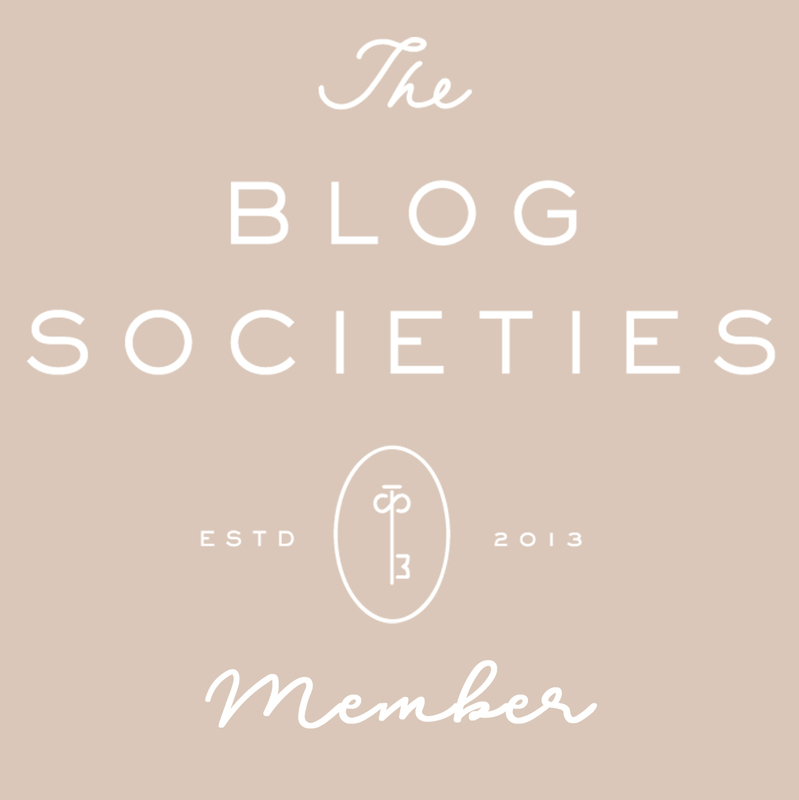 With P&P Katherine indulges in her love of antiques, entertaining, writing and decorating. Pender & Peony offers advice on Southern hospitality, style, and home decorating. Let’s design a life we adore with more gumption, charm & grace! © 2016 Pender & Peony. All Rights Reserved.